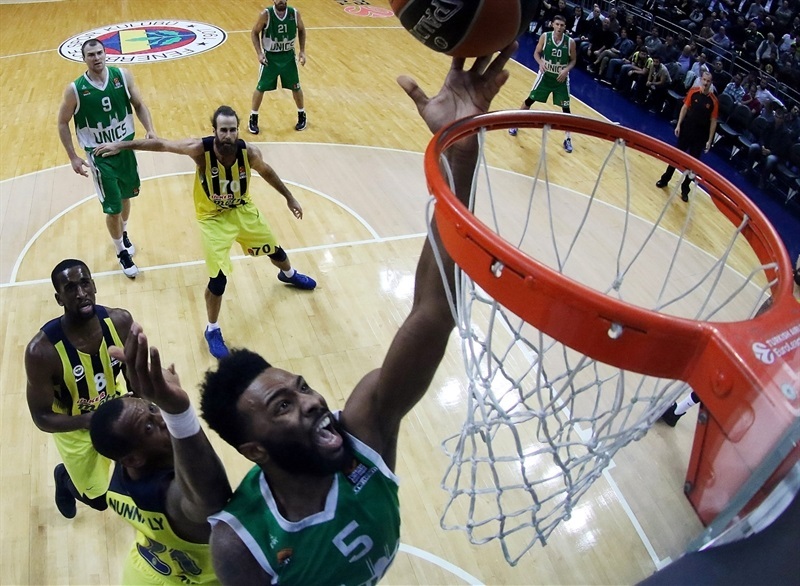 Turkish Airlines EuroLeague leading scorer Keith Langford had another big game and Unics Kazan registered its first win of the season, using a late 0-11 run to stun previously undefeated Fenerbahce Istanbul 73-81 on Wednesday night. The win not only got Unics out the cellar in the standings, but also snapped Fenerbahce’s home winning streak in EuroLeague games at 23. 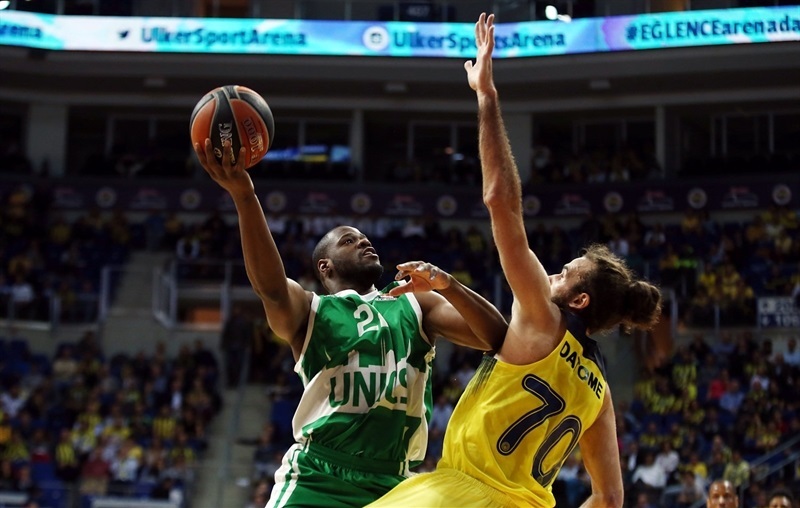 Unics led for the majority of the night, but never by more than 7 points during the first three quarters. 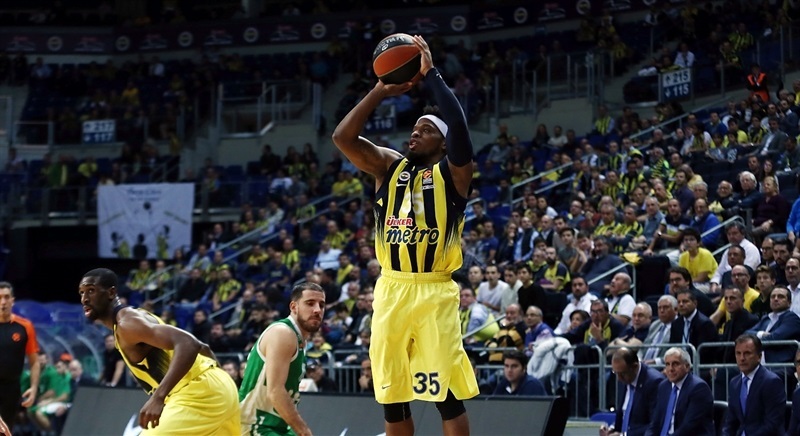 Fenerbahce stepped it up on defense in the fourth, and Bobby Dixon had a hot hand, helping the hosts to a 71-65 lead. 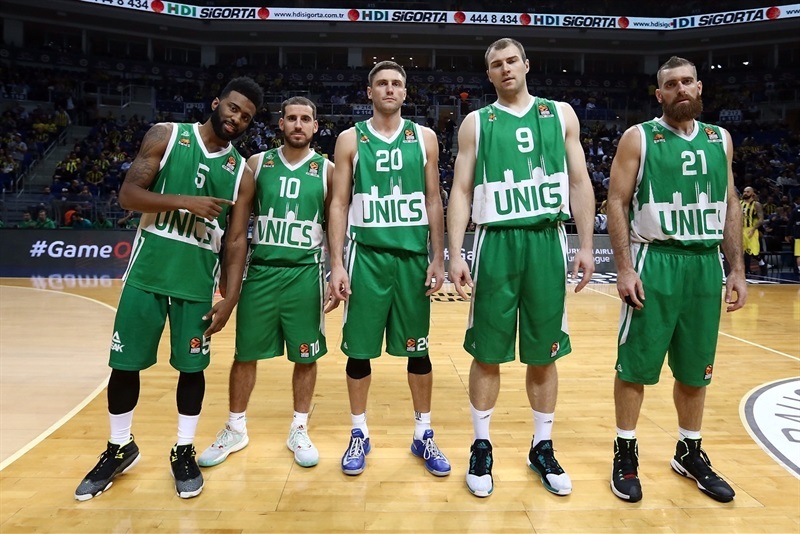 However, Unics responded with 11 unanswered points to get the valuable victory. Langford netted 28 points with a career-high 10 rebounds and 4 assists, while big man Art Parakhouski also had a double-double with 20 points, 12 rebounds and 2 blocks. Latavous Williams added 10 points, and Quino Colom dished 11 assists along with 9 points in victory. Dixon made 7 of 9 threes and finished with 23 points and 5 assists. Jan Vesely added 17 points, Luigi Datome collected 12 points and 8 rebounds, while Kostas Sloukas scored 10 in defeat. 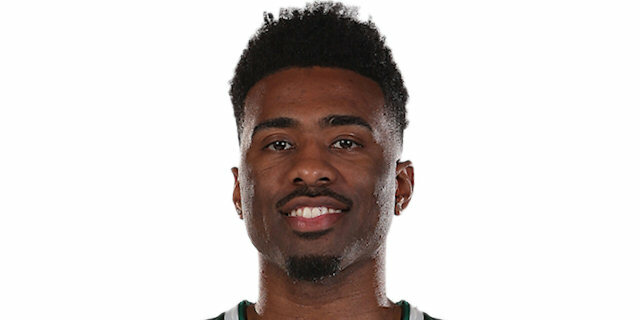 Langford scored 7 straight points early in the game and also dished 3 assists in the first quarter as Unics went in front with a slim lead. Langford then added a buzzer-beating triple to make it 15-20 after 10 minutes. On the other end, after making a couple of triples to open the first quarter, Dixon had a pair of long daggers to start the second, too. His fifth three-pointer in six attempts opened a 31-27 margin midway through the second. 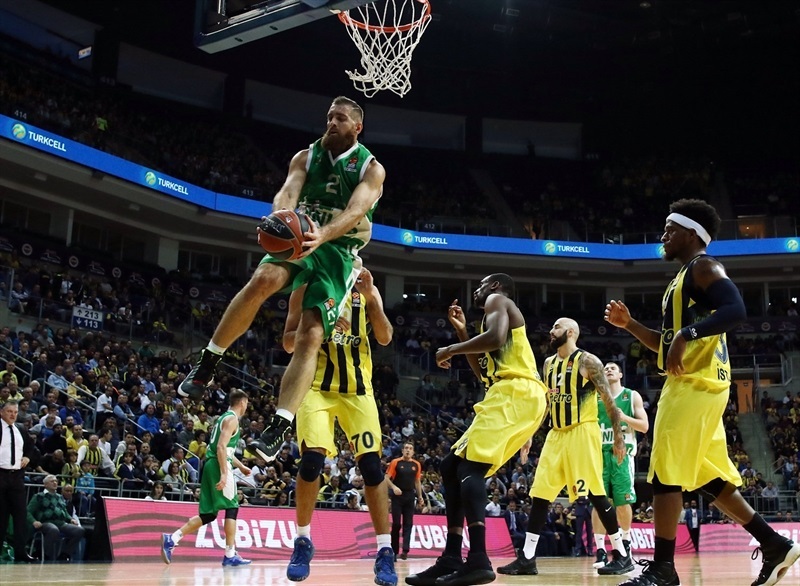 The hosts added an alley-oop from Sloukas to Vesely, but Langford continued attacking the basket, Parakhouski scored three consecutive times and was 6 for 6 on two-point shots in the first half, helping Unics regain lead and take a 37-41 cushion into halftime. 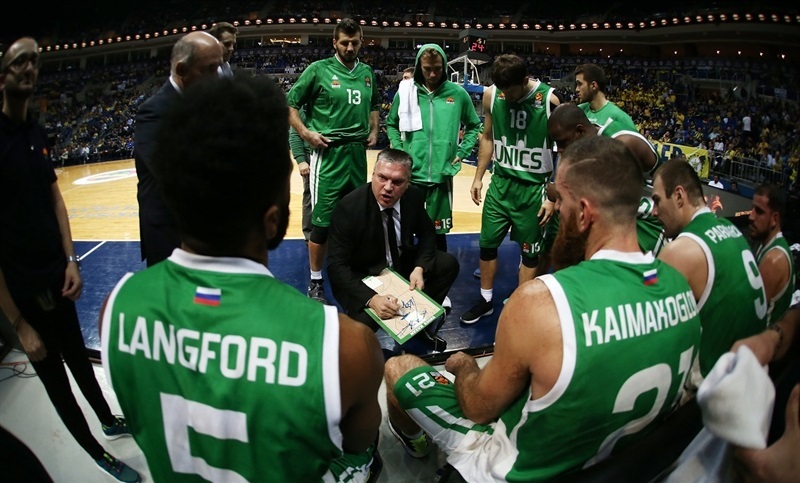 Unics remained patient after the break, as Langford scored 5 points – including a triple of his own – and Marko Banic made a mid-range jumper to open a 47-54 edge midway through third. 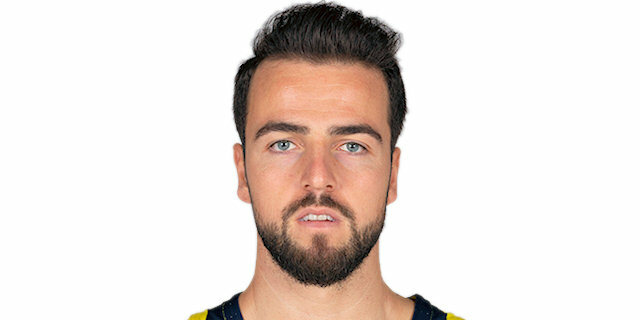 Fenerbahce stepped it up on defense and got to the free throw line often. 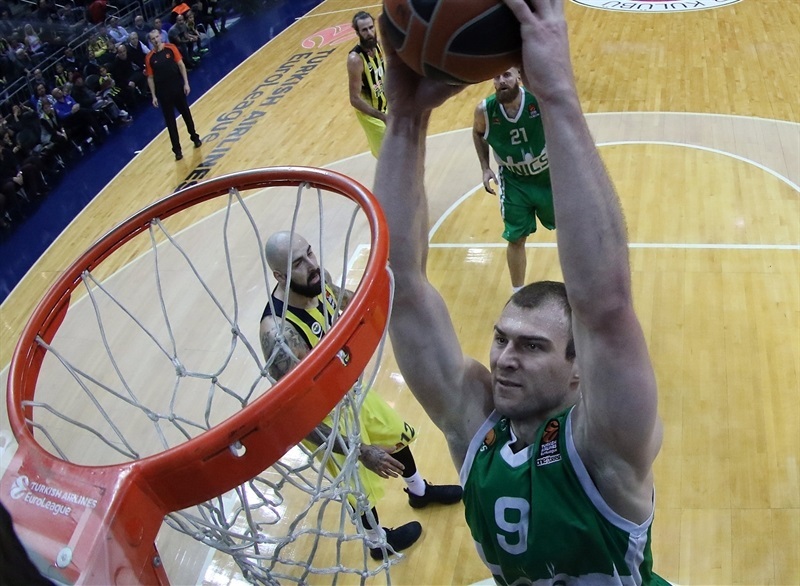 Dixon hit his sixth three-pointer to put the hosts up 62-61 late in the third, but Unics went into fourth up by 1 after Williams banked in a jumper before buzzer. The visitors forced four consecutive turnovers to start the fourth, however Unics could not score a basket themselves for more than five and a half minutes. 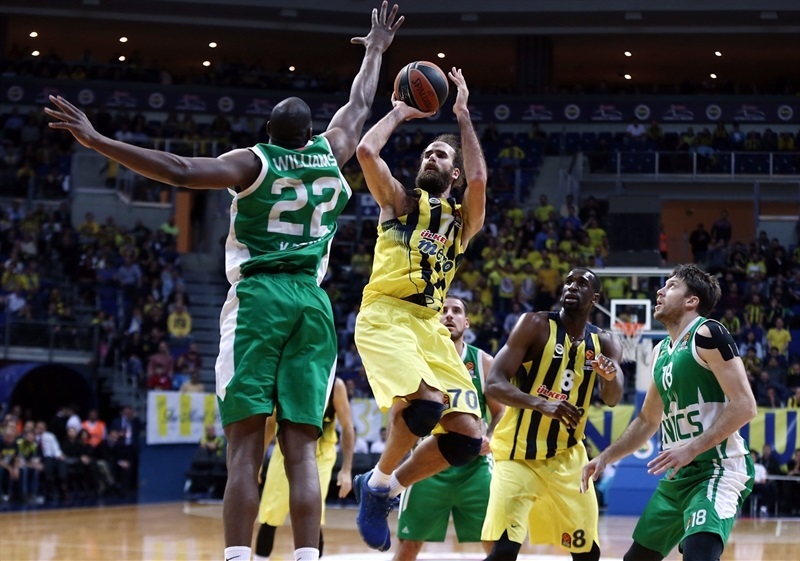 Meanwhile, Dixon and Luigi Datome put Fenerbahce up, and Dixon dished to Vesely for an easy dunk and a 68-63 lead. 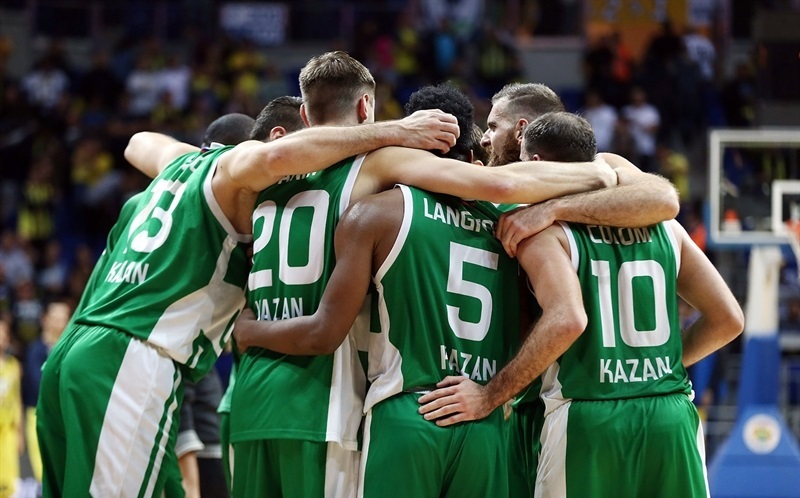 Parakhouski ended the Unics drought, and just when Dixon nailed his seventh three to make it 71-65, Unics went on a 0-11 charge, capped by Langford’s triple with 47 seconds to go, and Unics held on for its first win. "We tried to explain to players before the game that it is not important that Unics was 0-4 coming into this game, because they were in all of their games. They started very well in this game. We understood that their key player without any question was Langford. We tried to play defense against him, and we did nothing. He felt comfortable, he shot the ball, played whatever he liked, and that is the key of the game. In the second half our defense was a little bit better, more aggressive. We took the lead and then stopped playing. It is obvious we played the last minutes of the game badly. We made bad decisions offensively, but also defensively. For me as a coach it is possible that something like that happens, but it should not be possible to play defense like we did in the beginning of the game. They deserved to win, played better and controlled the game. But the problem is not to lose a game; the problem is if you don’t improve after you lose a game." 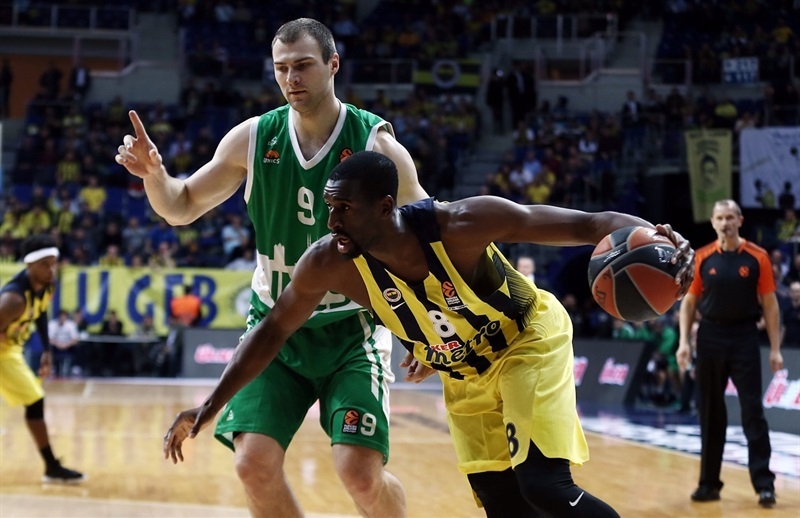 "It is a big, big win, and the first in EuroLeague this season for us. Congratulations to our guys, they did a good job defensively, staying focused on the court 40 minutes. 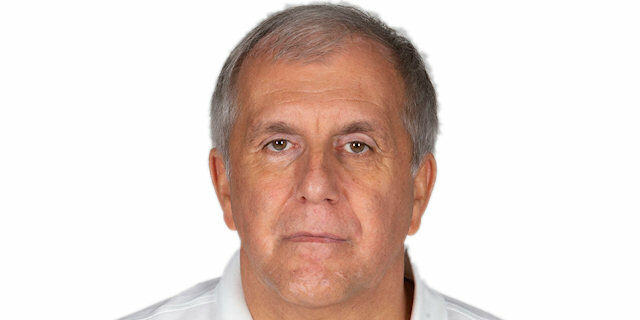 That is not easy against Fenerbahce, which is one of best teams in Europe, they don’t lose any games, have big roster, big size, and have the best coach in Europe in Zeljko Obradovic. It was not easy, but somehow we found defensive rhythm. We fought. We did not allow easy points from the low post. Dixon hit a lot of three-point shots, but guys did adjustments. Offensively, it is not easy to attack Fenerbahce. They have size inside, but we were more patient, did not hurry up other than little bit in the fourth quarter. But we regained control and got this big, big win. We lost two players, Clarke and Ponkrashov with big injuries, and we are in a tough situation with less rotations, but guys stepped up, helped each other and fought for each other." "We did not play well tonight, especially in the first quarter. Except for Bobby’s excellent offensive game, we gave a lot of rebounds to our opponent and were not patient on offense. We tried to come back and played excellent in the fourth quarter, but Kazan had a crucial run at the end. There is no time to be upset. We have a tough schedule and now we have to get ready for the next game." "We have been working so hard. A lot of our games have been really close, and we just did not finish at the end. Feeling is good, I am happy. This is very important for our club. Very important. "